Submitting book reviews is one of several ways to meet the continuing education (CEU) requirements for both new and renewing NCRWs. 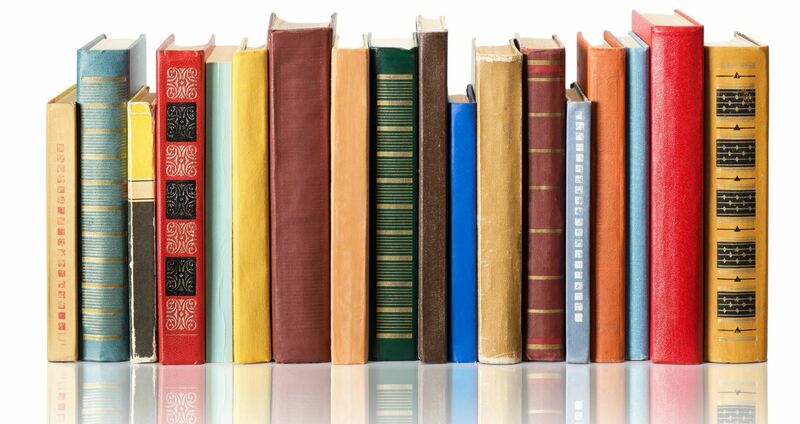 You can earn up to 2 CEUs per book review. Read books related to resume writing and/or career development (books must have been published within the past 5 years). Submit a one-page summary of the book with an overview that explains how it complies or fails to comply with the NCRW Style Guide. Indicate whether you would recommend this book for the approved book list and why. Submit your book review to: ceuadmin@thenrwa.com. To purchase books from our recommended list, select from the affiliate links below. The NRWA will receive a small percentage of your purchase cost. You may order from any retailer you choose. Click the book title that will take you directly to the book on Amazon.com. 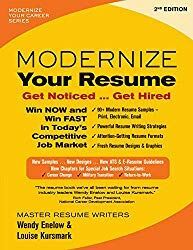 Modernize Your Resume: Get Noticed ... Get Hired (2nd Edition). By Wendy Enelow & Louise Kursmark. Published January 2019. Paperback Only. Based on today's real-world job search trends, Modernize Your Resume shows you how to craft a winning resume to meet the complexities of today's highly competitive and technologically driven employment market. The 2nd edition has been updated with new resume samples, new designs, and new ATS and e-resume guidelines, along with new chapters for job seekers with special circumstances - career change, military transition, and return to work. 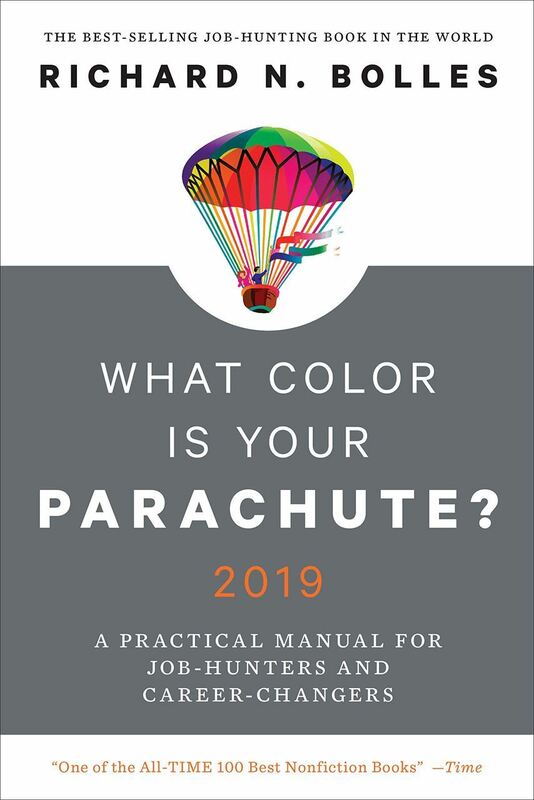 What Color Is Your Parachute: 2019: A Practical Manual for Job Hunters and Career Changers. By Richard N. Bolles. Published August 2018. Hardcover, Paperback, and Kindle. In today's challenging job-market, the time-tested advice of What Color Is Your Parachute? is needed more than ever. Recent grads facing a tough economic landscape, workers laid off mid-career, and people searching for an inspiring work-life change all look to career guru Richard N. Bolles for support, encouragement, and advice on which job-hunt strategies work and which don't. Bolles demystifies the entire job-search process, from writing resumes to interviewing to networking, This revised edition combines classic elements with updated tips on social media and search tactics. 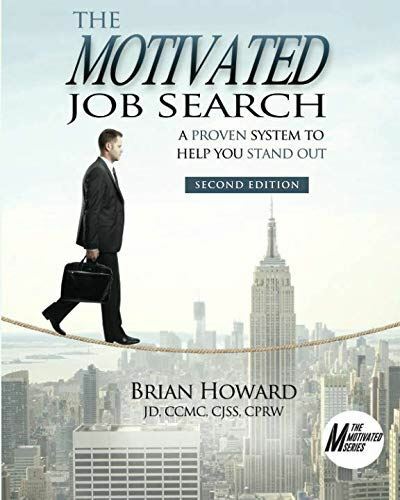 The Motivated Job Search - Second Edition: A Proven System to Help You Stand Out (The Motivated Series). By Brian Howard. Published July 2018. Paperback and Kindle. This book gives you a distinctive competitive edge by teaching time-tested and proven techniques that will make your clients stand out from other job seekers. Howard covers meaningful topics like how to correctly prepare for a job search, profiling your next job, understanding the employer's mind, branding, elevator speech, success stories, LinkedIn, networking, social media, the hidden job market, interviewing along with a myriad of useful job search tools not otherwise written about in other job search books. 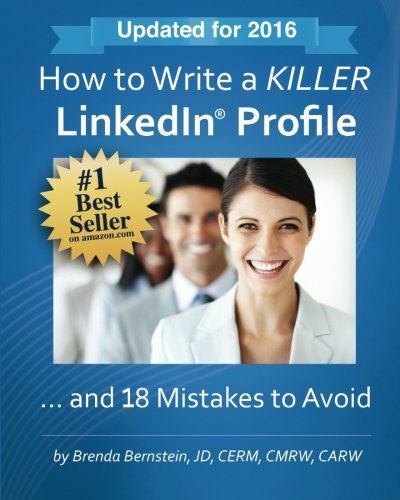 How to Write a KILLER LinkedIn Profile... And 18 Mistakes to Avoid: Updated for 2018 (13th Edition), By Brenda Bernstein. Kindle Only. This e-book includes revised images and instructions to match LinkedIn's new redesign. Includes updates on which features have really disappeared and which have moved, mobile-specific instructions, and special advice from a past recruiter. Secret tip: Write headlines over 120 characters! (Mistake #1) and much more. 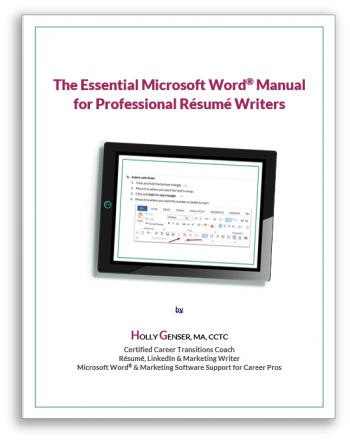 The Essential Microsoft Word® Manual for Professional Résumé Writers, By Holly Genser. e-Book Only. Unlike most Microsoft Word® courses and online instructions, this multi-media manual focuses directly on the tasks resume writers need. Genser uses her history as a professional resume writer with experience as a corporate training professional, to focus on the resume writers’ specific needs and presents content in a way that users can follow, reference, and learn from. 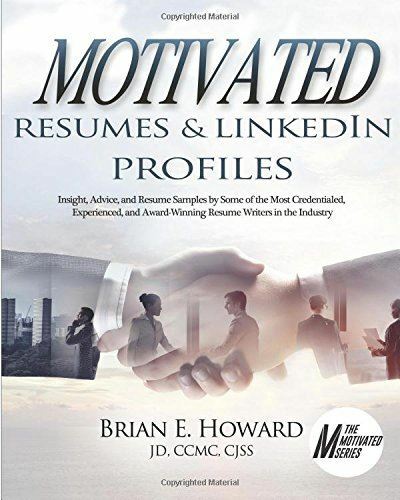 Motivated Resumes & LinkedIn Profiles: Insight, Advice, and Resume Samples by Some of the Most Credentialed, Experienced, and Award-Winning Resume Writes in the Industry (The Motivated Series), By Brian Howard. Published November 2017. Paperback and Kindle. It contains over 180 pieces of sage advice quoted throughout the book. You will learn how these writers create impactful resumes and LinkedIn profiles that will stand out, get you interviews, and job offers! Get inside the minds of these writers. Learn how they think about keywords, titling, branding, accomplishments, format, color, design, and a host of other resume writing and LinkedIn profile considerations as they create stunning resumes and winning LinkedIn profiles. How to Write an Amazing IT Resume, By Baron Fendler. Published September 2017. Paperback and Kindle. Whether your client is just getting out of school and looking for his first job or is an information technology veteran with years of experience, this book has everything you need. 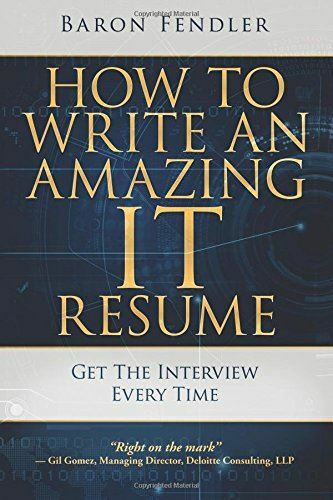 You will learn how to write a resume that makes an impact You will learn how to clear the automated screener, sail past the IT recruiter, and hook the hiring manager. 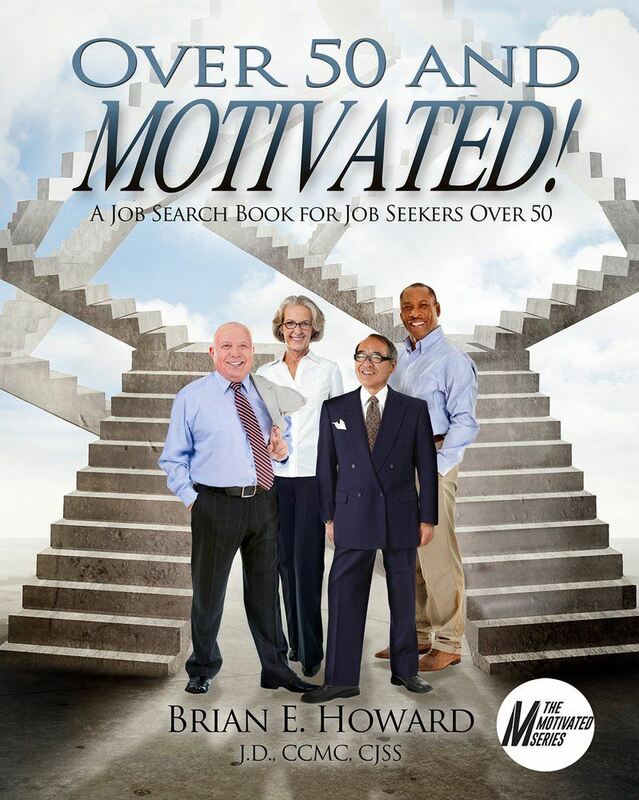 Over 50 and Motivated: A Job Search Book for Job Seekers Over 50 (The Motivated Series), By Brian Howard. Published April 2017. Paperback and Kindle. Howard teaches a systematic approach for conducting a real-world job search based on years of front line recruiting experience helping thousands of tenured job seekers. He will show how to help our clients effectively conduct a job search in today's job market and techniques to successfully combat age biases. He will show how to get job offers and your next fulfilling career position! 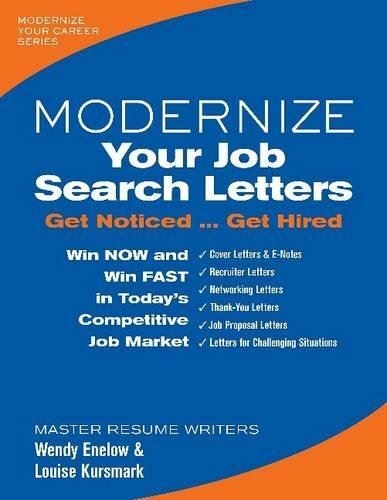 Modernize Your Job Search Letters: Get Noticed... Get Hired (Modernize Your Career), By Wendy Enelow and Louise Kursmark. Published January 2017. Paperback and Kindle. This book addresses how to write the following types of letters that most job seekers will use through their search campaign: Traditional Cover Letters: Letters that job seekers write in response to job advertisements and postings, send directly to hiring managers, or present to human resource professionals. E-Notes: Modern and shorter cover letters used as the content for job seekers email messages, thereby eliminating the need to click to read an attached letter. 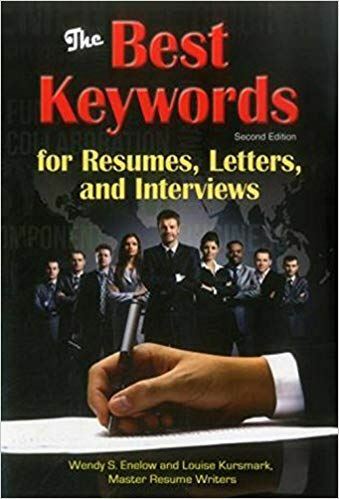 The Best Keywords for Resumes, Letters, and Interviews: Powerful Words and Phrases for Landing Great Jobs!, By Wendy Enelow and Louise Kursmark. Published April 2016. Paperback and Kindle. This book reveals how candidates can best speak the language of employers for getting hired. Organized by major industries and professions, it offers hundreds of sample keywords, keyword phrases, keyword answers to interview questions, keyword cover letters, and keyword resumes. A special chapter identifies keywords for ex-offenders, military transition personnel, career changers, job hoppers, and people returning to work.